PTT Phenol Company Limited is a subsidiary of PTT Public Company Limited, a Thai state owned oil and gas company. PTT Phenol was the first company to produce phenol in southeast Asia , the world's largest market for this chemical. Phenol is used as a raw material in the production of plastic polycarbonate for the auto, computer, and electronics industries, and the company produces approximately 180,000 tons of this chemical each year. In response to rising demand for this material, PTT Phenol is building a new phenol plant at its complex on the Map Ta Phut Industrial Estate in Rayong, Thailand. For this plant construction project, PTT Phenol relied on the main instrument vendor (MIV) approach to reduce engineering costs. As the MIV for this project, Yokogawa Thailand worked together with a project management consultant (PMC) and an engineering procurement construction (EPC) contractor to supply a DCS, safety instrumented system (SIS), instruments, control valves, and a tank gauging system. In the first phase of this project, which began in 2006, a project team consisting of personnel from Yokogawa Engineering Asia and Yokogawa Thailand took care of front end engineering design (FEED) and created the functional design specifications. In the second phase, the project team developed detailed design specifications (DDS) describing the functionality of these systems and products. In the third phase, a staging and factory acceptance test (FAT) was conducted in which all systems were rigorously tested with simulated inputs, and the interaction and communication between the various subsystems were extensively tested. The fourth and final phase covered installation, the site acceptance test (SAT), and commissioning. Everyone from PTT Phenol, the PMC and EPC, Yokogawa Engineering Asia, and Yokogawa Thailand worked closely as a unified team to successfully complete this project on schedule and within the budget. 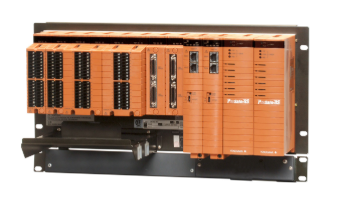 Nearly 500 FOUNDATION fieldbus devices were installed at this plant, and all of the data from these devices can be monitored using the PRM asset management package. Rather than donning protective wear and going out periodically in hot weather to conduct patrols, a maintenance engineer can monitor the status of these devices from an office desk. PRM provides a great deal of detailed diagnostic data, allowing engineers to detect problems before devices fail. This reduces TCO and ensures asset excellence for PTT Phenol. Given that this plant is engaged in a critical production process, safety is a paramount consideration. All loops were assigned safety integrity level (SIL) 3 in the ProSafe-RS SIS. As ProSafe-RS is integrated with the CENTUM CS 3000 production control system, all critical loops can be consistently monitored from the CS 3000's human machine interface (HMI). Furthermore, ProSafe-RS has been certified by TÜV to be in full compliance with the IEC61508 recommendations. This safe and highly reliable emergency shutdown system brings PTT Phenol safety excellence. Real-time plant data can be utilized to improve product quality and historical data is essential to product tracking. By using the Exaquantum plant information management system (PIMS) in this integrated system, engineers in different departments can access plant data and use distribution, trend, and histogram charts to analyze the data and make improvements according to the Plan-Do-Check-Act (PDCA) cycle. This contributes to production excellence at PTT Phenol. An OmegaLand simulator was installed in PTT Phenol's engineering department that allows its process and instrument engineers to confirm modifications and find effective ways to optimize their process and control strategies. Pornchai Rattanawijit, an instrument engineer in the maintenance department, said, "We are happy with Yokogawa's system and look forward to maintaining a good, long-term relationship with Yokogawa." He added, "We have introduced many new technologies and achieved a VigilantPlant that realizes safety excellence, asset excellence, and production excellence."